NAMM 2019: You may recall the cloud of controversy that greeted the introduction of John Mayer's PRS Silver Sky signature model in 2018. 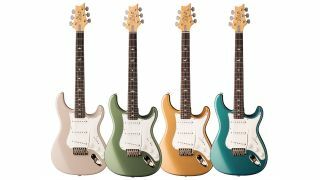 Now the US firm has announced the addition of four new colour options for the Fender-aping bolt-on. Among the new colour choices are Dodgem Blue, Golden Mesa, Moc Sand and Orion Green. The lack of finish choices was one of our key gripes in our initial PRS John Mayer Silver Sky review, with a somewhat paltry choice of Onyx, Frost, Horizon and Tungsten (Black, White, Red and Silver, to you and me). 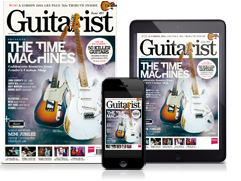 The new additions will create a more respectable total of eight colour options for 2019, while the guitar's celebrated blend of vintage and modern specs remains unchanged. Browse the gallery to view all the new finishes.